Welcome to BodyHoliday. 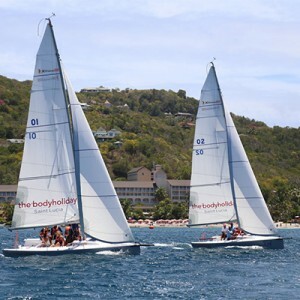 If you are returning to Saint Lucia this March, then welcome back and thank you for returning. If this will be your first visit, we hope that you enjoy all that BodyHoliday has on offer and love the unique experience so many come back to enjoy again and again. Celebrated Yogi, Maya Fiennes is with us this March. She’ll be around the resort adding her touch to out Yoga program between 10th and 17th and then from 17th -24th March, Maya will lead her Retreat “Journey through through the Chakras” It’s not too late to sign up, please contact the BodyHoliday Specialists asap. Our first Theme Month of 2018 kicks off with Sailing. Join World Champion Nick Thompson and reigning Olympic Champion Saskia Clark in a thrill-filled month of sailing action. Whether you are just beginning or whether you are familiar around the marks, this is a not-to-be-missed opportunity. 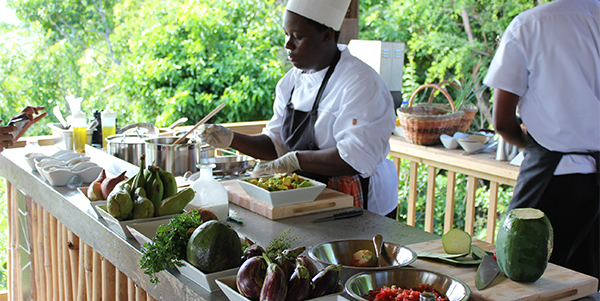 Discover the wonders of garden to table cuisine, inspired by our on-site organic garden. Share a guided experience with our eco-leader and I-Tal chefs, while spending time harvesting produce. 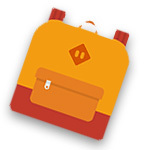 A community-based project to provide knapsacks with school supplies to underserved children in St. Lucia. The St. Lucia Knapsack Project operates out of Toronto, Canada and seeks the support of individuals to reach this goal. If you would like to participate, all this involves is putting a few items together for the children and delivering them to a collection point.